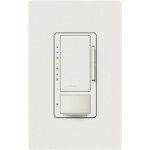 Dimmers come in a wide variety of styles. These different styles indicate the appearance as well as functions that are available. Wattage or "Watts" is a measure of electrical power. 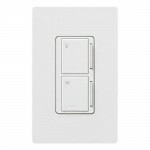 For example: A 600W dimmer is capable of handling up to 600 Watts of electricity from connected lights. 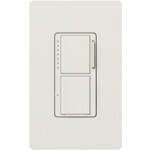 The Lutron Maestro collection is one of the most diverse and broad lines the company has created. 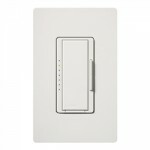 With this collection, Lutron has gone all out by creating many different types of controls including dimmer switches, light switches, timer switches, fan speed controls, motion sensors, and more. What many like about Maestro switches and dimmers is that Lutron has designed many models to remember preferred light settings. This allows for the perfect ambiance every time. Plus, it can lead to significant energy savings and can help extend the lifetime of many light bulbs and lighting fixtures. 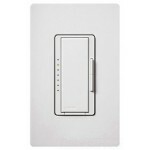 Lutron has also created an innovative Maestro Wireless product line. 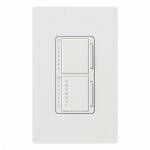 These Maestro dimmers all have an IR receiver which enables them to be paired with up to 10 companion switches and controlled by an IR remote. It allows for a fast, simple installation. 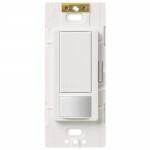 It's convenient, as these dimmers provide true multi-location dimming from every location and the infrared (IR) remote control can be used to adjust lights from anywhere in the room up to a 30 foot range. 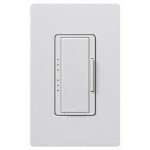 Most dimmers from the Lutron Maestro light switch line have a delayed fade-to-off function. 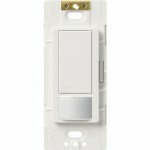 It's customizable, allowing for personalized control over lights dimming as you leave a room. 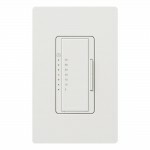 Entering a room with Maestro switches is easy as well; these dimmers feature a glowing LED that shines in the dark for easy locating of the switch. 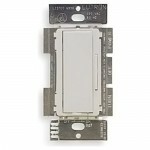 This LED also alerts users when an electrical system is malfunctioning as it won't glow when there's a connection issue. 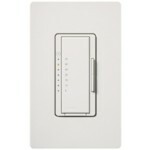 Another great product from Lutron is the PowrSavr with the maestro wireless collection. 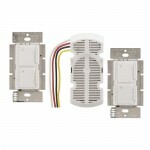 This product is an ideal solution that requires no wiring and is east to set up. 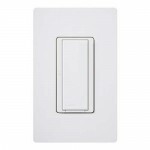 Reduce your energy expenses by automatically turning off light when a room in unoccupied, this is great for public and private restrooms, as well as home use.